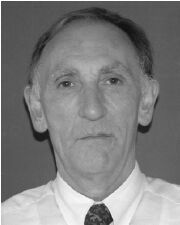 A profile of Roger A. Sheldon, Professor of Biocatalysis and Organic Chemistry at Delft University of Technology, who developed the concepts of E factors and atom utilization for assessing the environmental impact of chemical processes. Roger Sheldon was born in Stapleford, near Nottingham on June 24, 1942. He was introduced to the wonders of organic chemistry at an early age. After just turning sixteen he left the Newark Magnus Grammar School to seek gainful employment as a technician in the research department of the Boots Pure Drug company. His first assignment involved the synthesis of the steroid hormone, progesterone, hardly the simplest of molecules to start with. Through diligent study, one day and three nights in the week at Nottingham Technical College, he obtained the title of Graduate of the Royal Institute of Chemistry in 1964. At this point, his thirst for knowledge unquenched, he enrolled as a PhD student at Leicester University where he conducted research on organophosphorus chemistry. His joint supervisors were Stuart Trippett and Stephen Davidson. After being awarded a PhD in organic chemistry in 1967 he migrated to the United States to take up a postdoctoral appointment in the group of Jay Kochi at Case Western Reserve University in Cleveland and subsequently moved with Jay to Indiana University. Jay had an unmistakable influence in molding his scientific thinking and attitudes. Jay introduced him to the scientific rigors of physical organic chemistry and the fascinating world of one-electron transfer reactions between free radicals and transition metal ions. This provided the foundations for his long standing interest in catalytic oxidations and he has fond memories of his ‘Kochi period’. In 1969 he moved to the Shell Research Laboratories Amsterdam (KSLA) where he met Jetty Dijkstra who became his wife in 1970. They have two children. Their daughter, Annemarie, pursued a career in teaching handicapped children and their son, Frank, is a graduate in chemical engineering from Delft University. At Shell he continued to apply what he had learnt with Jay in his studies of industrial catalytic oxidations, in particular epoxidations with alkyl hydroperoxides; research which underlies the Shell SMPO process for the coproduction of styrene and propylene oxide. In recognition of his pioneering work in catalytic oxidations he was awarded the Royal Society of Chemistry Award in Hydrocarbon Oxidation Chemistry in 1979 and the Berzelius Medal in Catalysis from the University of Lund, Sweden in 1982. During his Shell period he also investigated the application of various catalytic methodologies, such as olefin metathesis and hydroformylation, to the synthesis of fine chemicals, a theme which has pervaded much of his subsequent research. Processes which he developed for the manufacture of pyrethroid insecticides are still in use today. He also took an avid interest in what has now become known as Green Chemistry at an early point in his career. In the late sixties and early seventies he was profoundly influenced by reading books such as Rachel Carson’s ‘Silent Spring’, Barry Commoner’s ‘The Closing Circle’ and E. F. Schumacher’s ‘Small is Beautiful’. This new found knowledge prompted him to write an essay on ‘Chemistry and the Quality of Life’ which won him the Royal Society of Chemistry Essay Prize in 1974. He has fond memories of being presented the prize by Sir Derek Barton, then President of the RSC. This later developed into a long standing friendship and correspondence on oxidation matters. It also marked the beginning of his commitment, over the last three decades, to the development of clean catalytic technologies for the production of (fine) chemicals. In 1980 he was enticed away from Shell to become Vice President of R&D of the fine chemical company, Oce Andeno, which later became part of DSM Fine Chemicals. He was rather surprised to discover that, in contrast to his experiences at Shell, very few catalytic methodologies were applied in the manufacture of fine chemicals. Hence, he made it his business to change this sorry state of affairs. He was fortunate to have a boss, Joop Jacobs, who was forward-looking and encouraged him to run R&D as he saw fit (as long as some cash was generated at the end of the day). Based largely on his experience at Andeno/DSM he developed, in the late 1980s, the concept of the E Factor and the EQ (Environmental Quotient) for assessing the waste generation and environmental impact of chemical manufacturing processes, highlighting the pressing need for cleaner catalytic processes to replace classical ‘stoichiometric’ technologies in the fine chemical and pharmaceutical industries. His E Factor concept, first published in 1992, was subsequently accepted worldwide (he is widely known as ‘Mr. E Factor) and many companies now use it for assessing the potential environmental impact of their processes. Over the last decade or more he has, through his publications and many invited and plenary lectures at international conferences, drawn attention to the need for cleaner technologies in the fine chemical and pharma industries and been a staunch advocate of Green Chemistry. His important role in promoting the concepts of Green Chemistry to a generation of chemists is underscored by, inter alia, his co-chairing, with James Clark, of the 2000 Gordon Conference on Green Chemistry. He was also intimately involved, as the first Chairman of the Editorial Board, in establishing the successful journal, Green Chemistry. More recently, he was Chairman of the International Symposium on Catalysis Applied to Fine Chemicals, which focused on the use of sustainable catalytic technologies for fine chemicals manufacture. While at Andeno in the mid 1980s he was inspired by the seminal papers of Alex Klibanov on enzymatic conversions in organic media and developed a strong interest, which continues to this day, in biocatalysis, Research under his direction at Andeno led to the commercialization of various biocatalytic processes for the manufacture of pharma intermediates as pure enantiomers. His book, ‘Chirotechnology’, published in 1993, stems from this period and has become a classic in the field, leading to the widespread adoption of the term. It is worth noting, in this context, that most pharma companies were not convinced, back in the mid-eighties, that the synthesis of drugs as pure enantiomers would ever be an economically viable option. This sounds familiar and reminiscent of initial resistance to the concept of Green Chemistry and the underlying concepts of atom economy and E Factors. It is a common reaction to new technologies and is symptomatic of not looking further than the proverbial end of one’s nose. Similarly, a decade earlier, in the mid-seventies, most oil companies were of the opinion that unleaded petrol was an economic nonstarter. In 1991 he moved to the Delft University of Technology, where he is currently Professor of Biocatalysis and Organic Chemistry. At Delft he has continued to promote the concepts of Green Chemistry, both in his publications and his teaching. Green chemistry features prominently in his undergraduate teaching, e.g. one course is entitled Green Chemistry and Sustainable Technology. A major theme of his research in Delft is the integration of the subdisciplines of catalysis—homogeneous, heterogeneous and enzymatic—in organic synthesis, with the ultimate goal of designing multi-step catalytic cascade processes which emulate the metabolic pathways in the living cell. He has made important contributions to the development of green catalytic oxidations and carbonylations and novel enzymatic methods for the synthesis of pure enantiomers. Much of his biocatalysis research is guided by the concept of nonnatural reactions of enzymes. Another major theme is catalysis in novel media, such as oxidations and carbonylations in aqueous biphasic media and (bio)catalysis in ionic liquids. The common thread in this research is a drive to achieve precision and elegance in chemicals production via atom efficient, low E Factor processes in which a catalyst, if needed, exhibits high activity, selectivity and stability, and is readily separated and recycled. With regard to the latter, effective methods for immobilization of homogeneous catalysts and enzymes are required and this features prominently in his research. For example, his group invented a novel and extremely effective method for the immobilization of enzymes as Cross-Linked Enzyme Aggregates (CLEAs). The commercial potential of the technique is currently being exploited by a spin-off company, CLEA Technologies. In his Delft period his group has produced about 300 scientific papers and twenty patents and he is a regular invited speaker at international conferences on homogeneous, heterogeneous and biocatalysis, and chirotechnology. He is a frequent publisher in the journals Green Chemistry and Advanced Synthesis and Catalysis, flagships of the new era of sustainable technologies. He has been a visiting professor at the universities of Osaka (Japan), Campinas (Brazil) and Pierre and Marie Curie (Paris). In recognition of his many contributions to catalysis and green chemistry he was awarded an honorary doctorate of the Russian Academy of Sciences in 1999. Summarizing, Roger Sheldon’s commitment to, and promotion of, what has now become known as Green Chemistry spans a period of three decades. He has experienced the subject from both an industrial and an academic vantage point. He has witnessed the gradual acceptance, by chemical companies, that Green Chemistry and Sustainable Technologies not only are good for the environment and quality of life but also make good economic sense and, by academics, that Green Chemistry can be good science that is published in premier scientific journals. He takes great satisfaction in the thought that the concept of Green Chemistry is firmly implanted in the consciousness of the current generation of chemists and chemical engineers, both in industry and academia, and that he may have played a role in putting it there. With regard to his Delft period he has much to thank, and gratefully acknowledges, the important contributions of his steadfast coworkers, Fred van Rantwijk and Isabel Arends, and the many PhD students and postdocs whose hard work and dedication has made it all possible. He is also grateful to his many mentors who have helped shape his professional career and to his wife, Jetty, for her continued support, encouragement and understanding.